Sorry it has been awhile. I have no excuse, other than it is my Mom's fault. 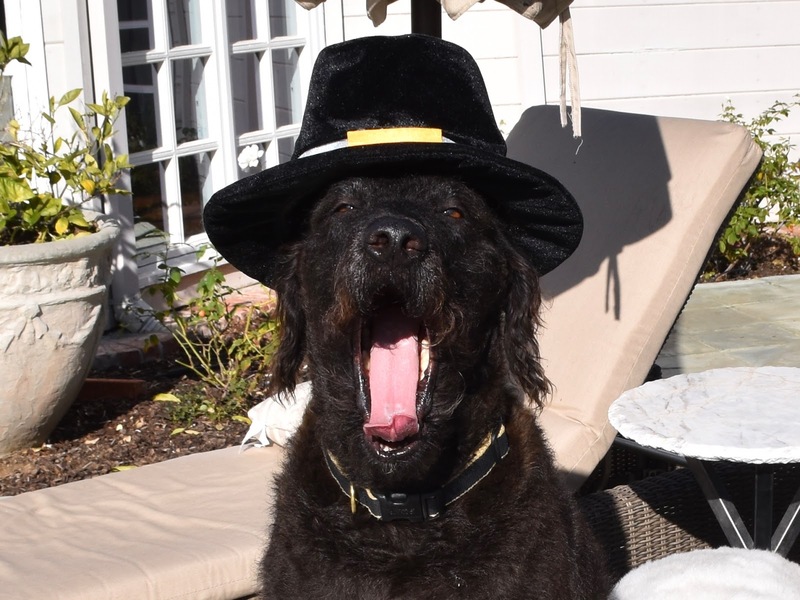 So here we are waiting for Thanksgiving. 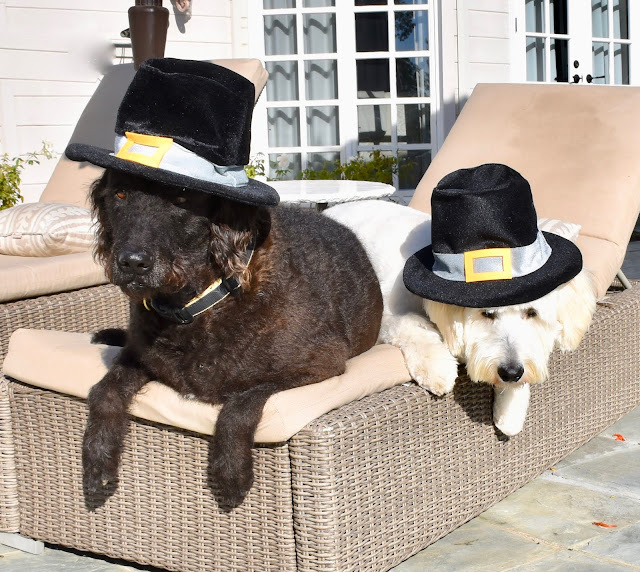 We are not thrilled with these pilgrim hats, but we figured wearing them would give us treats (we were right). Ugh. I hate this wait. Where are you Turkey Day ? ?